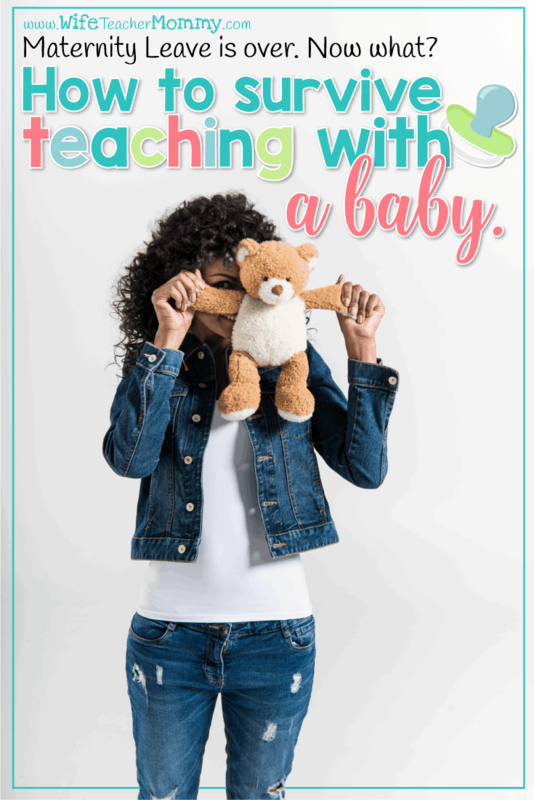 Inside: Check out our tips for how to survive teaching with a baby! You just had a baby, and you’re back to work. 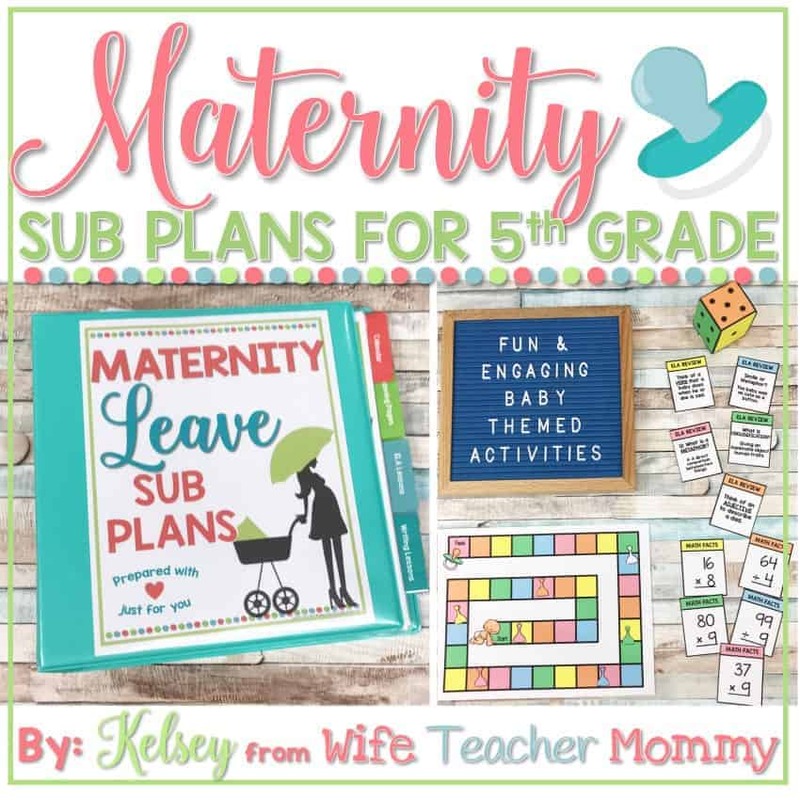 Whether you are ready to get back to your classroom or wishing you could stay at home with your infant, transitioning after maternity leave can be challenging. If you keep things simple, ask for help and give yourself a break, you can survive teaching with a baby. 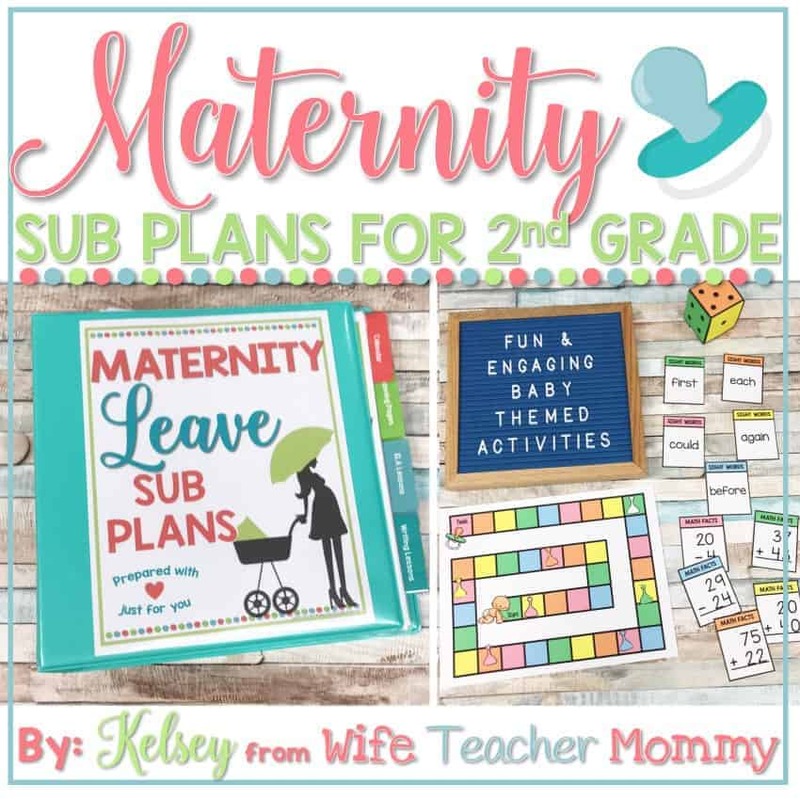 After all, you survived teaching while pregnant, right? 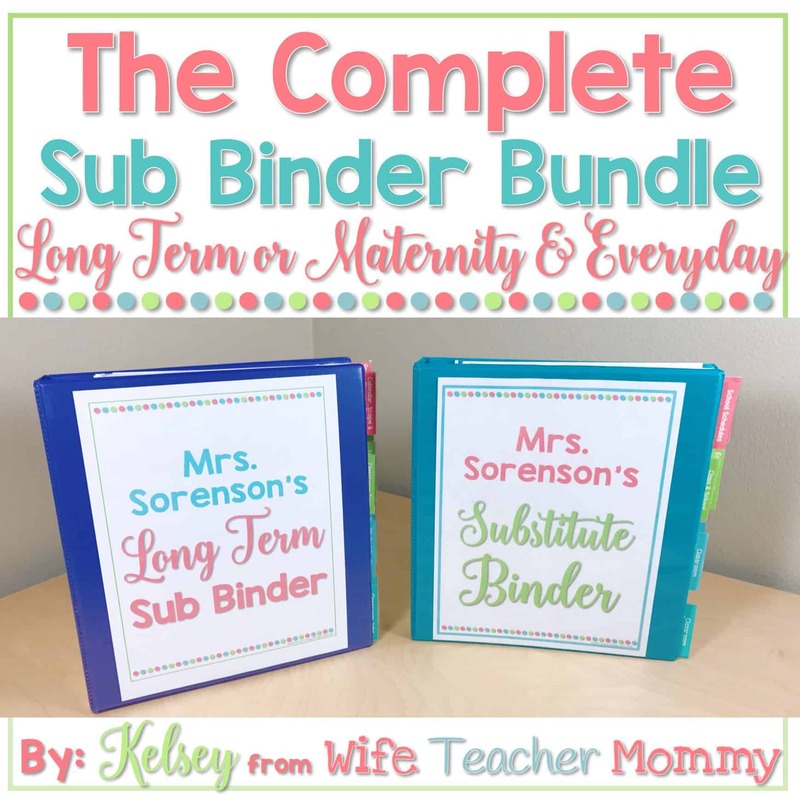 Here’s some tips to help you survive teaching with a baby! Disclaimer: This post contains affiliate links. See disclosure for more details. Build relationships and revisit classroom expectations. 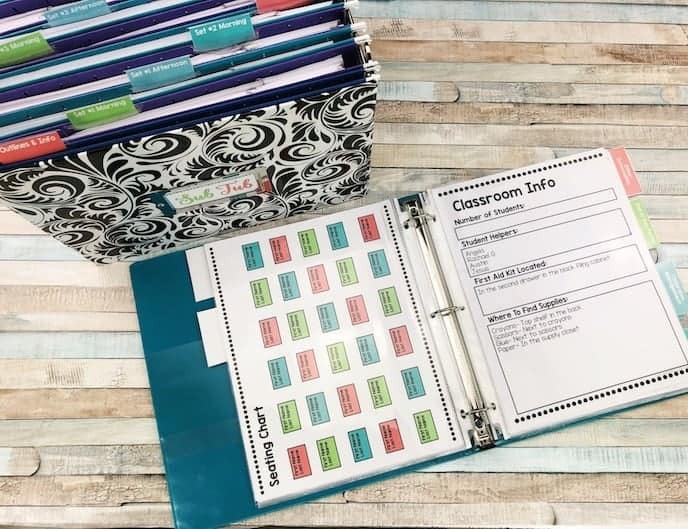 When you return to the classroom, don’t overcomplicate things with new lessons and fancy bulletin boards. Start by building relationships with the kids (again if you have leave mid-year) and revisiting behavior and academic expectations. Relationships come first. Content and curriculum will come easier if the kids have buy in and know you’re back and missed them. 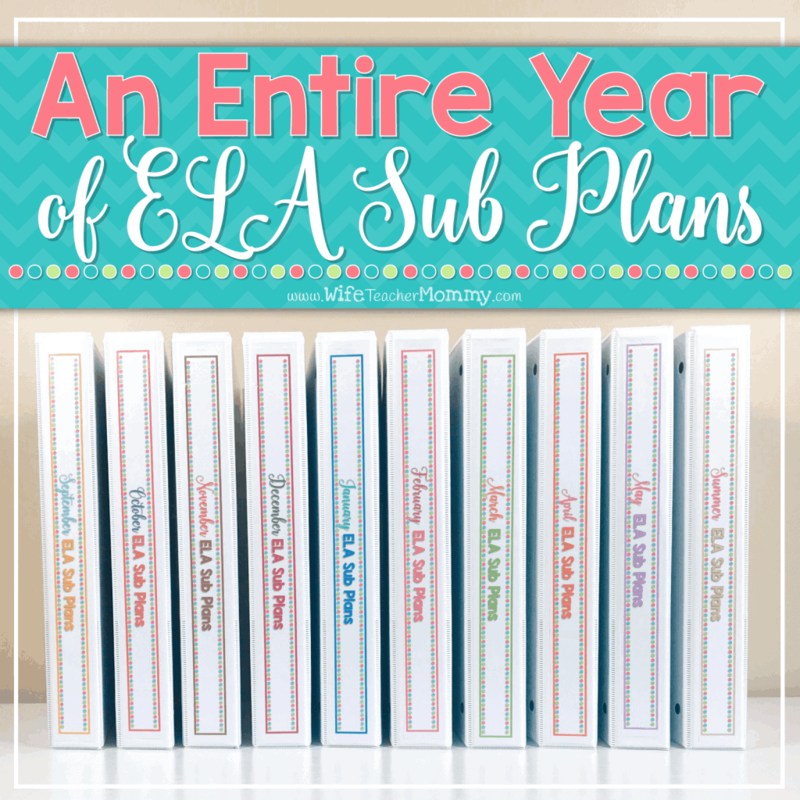 Ask your administrator and colleagues to help with pumping schedules. If you’re a breastfeeding mom, your schedule may not line up with when you need to pump. 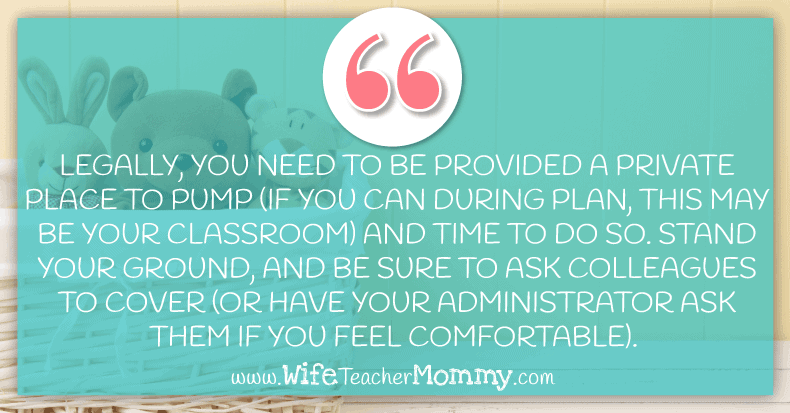 Legally, you need to be provided a private place to pump (if you can during plan, this may be your classroom) and time to do so. Stand your ground, and be sure to ask colleagues to cover (or have your administrator ask them if you feel comfortable). If you have a mini fridge or cooler in your room, it’s an ideal place to store milk. Otherwise, find a container to safely store your milk bottles or bags and put in a staff refrigerator or freezer. When I was pumping while substitute teaching on a regular basis, I used an insulated lunch box like this one. It was nice since it had plenty of room to store a few bottles in it. Never, ever let someone pressure you to pump in a restroom or your car. You are allowed a safe, private place in your building. If you have co teachers or para-educators in your class, enlist their help with grading papers or working with students. This will save you time, and often times people will help if they’re just asked! Give students jobs that you used to do yourself. Kids love creating bulletin boards or hanging up student work. Cleaning up after stations or at the end of the day are also tasks that can be assigned to students. Rotate students so everyone gets a chance to help and feel special. Even older students love to be needed! At home, ask your family to help out more around the house. Kids can start doing chores even when they’re as young as toddlers. Simple things like feeding the family pet or putting clothes away are a good start. Older kids can help with meal planning and even cooking, taking out the trash, and doing dishes. Spouses or significant others can definitely help share duties (including baby patrol at night). Make sure you aren’t trying to do it all. Be sure to let go of the teacher mom guilt and let others help you! Call a sub when you need one. Your students will benefit from having you in the classroom well-rested and happy. You just had a baby! Give your body and mind time to adjust to being a working mom. There is no shame in taking a day off when you need it. We’ve got quite a few resources that can help make this as easy as possible! 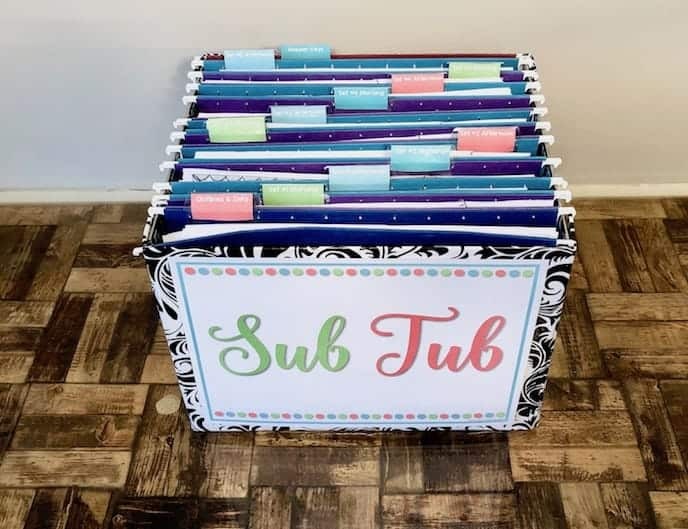 Check out some of our most popular substitute plans and sub binders below. 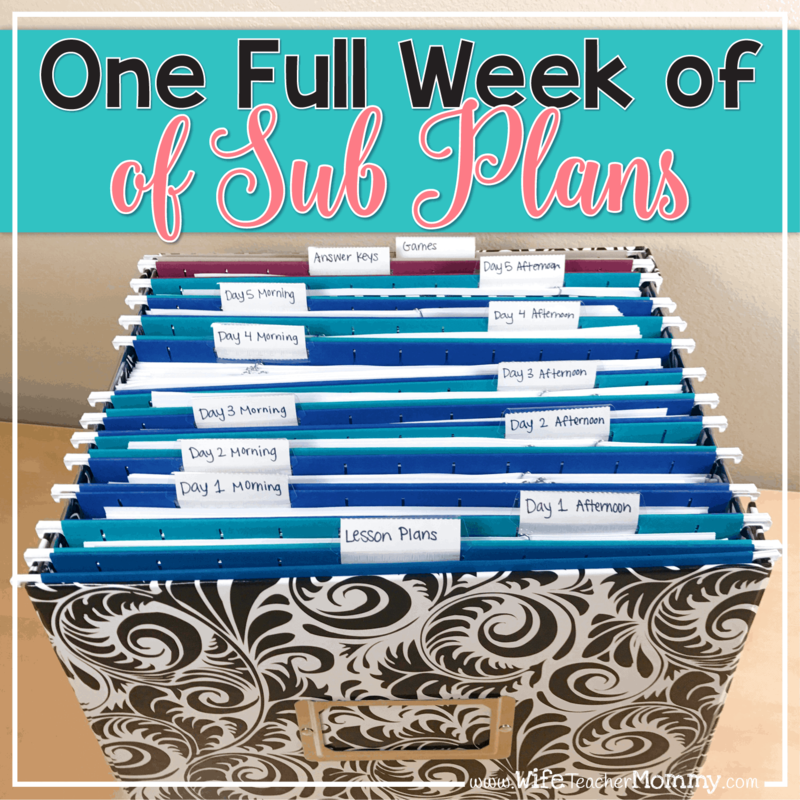 You can also grab sub plan freebies in our free resource library by signing up here! 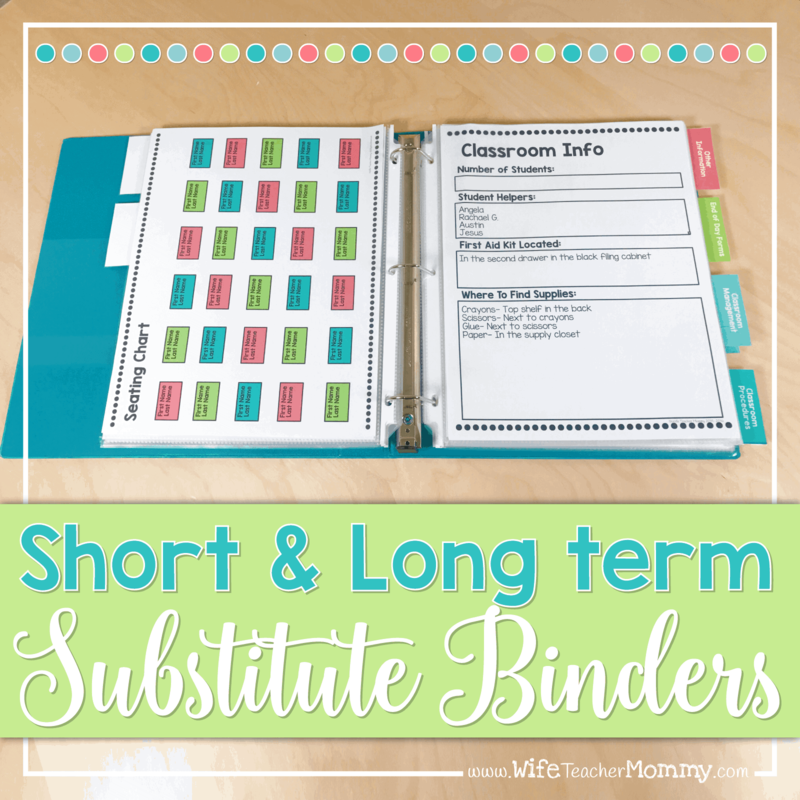 Having sub plans on hand will surely help you survive teaching with a baby. 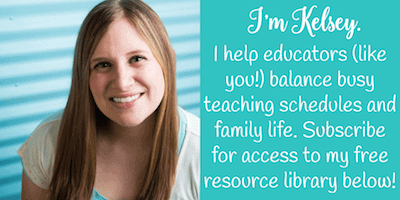 Talk with other moms who have gone back to work, especially teacher moms in your building. A lot of people have been there, and you may find inspiration in others successes and trials. See a doctor or counselor if needed. Sometimes all these tips won’t help make the transition easier. 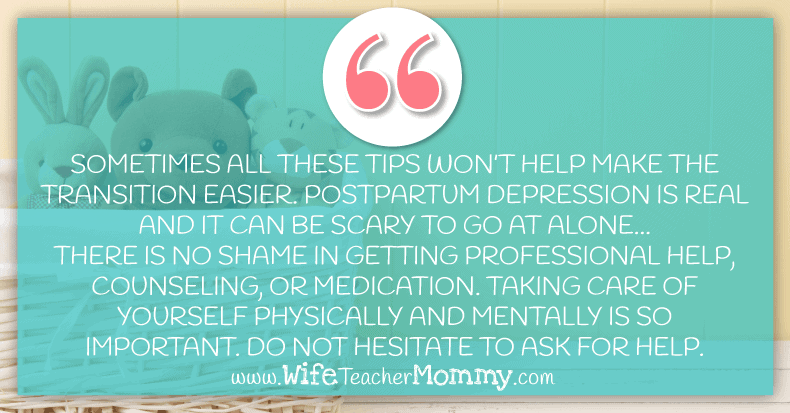 Postpartum depression is real and it can be scary to go at alone. You just underwent a major change in your body and your life. It doesn’t matter if you’ve had kids before; you can still be affected by PPD. There is no shame in getting professional help, counseling, or medication. Taking care of yourself physically and mentally is so important. Do not hesitate to ask for help. You can survive teaching with a baby! 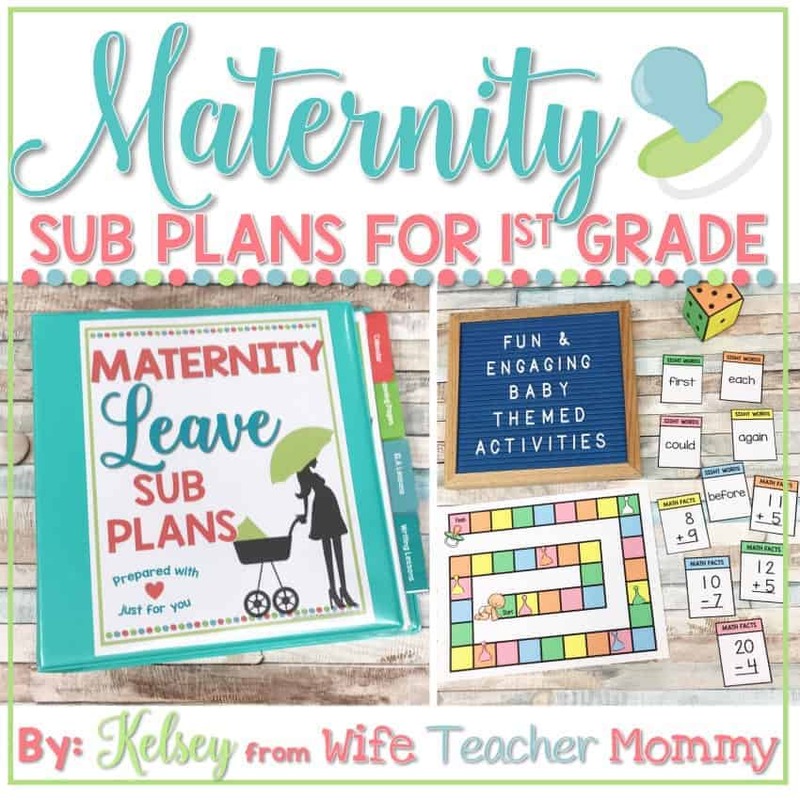 Going back to teaching after having a baby can be exciting and a bit overwhelming. When your maternity leave is over, find comfort in your colleagues, family, and friends and don’t forget to ask for help. You can survive teaching with a baby if you remember to give yourself a little grace and a lot of baby cuddles! 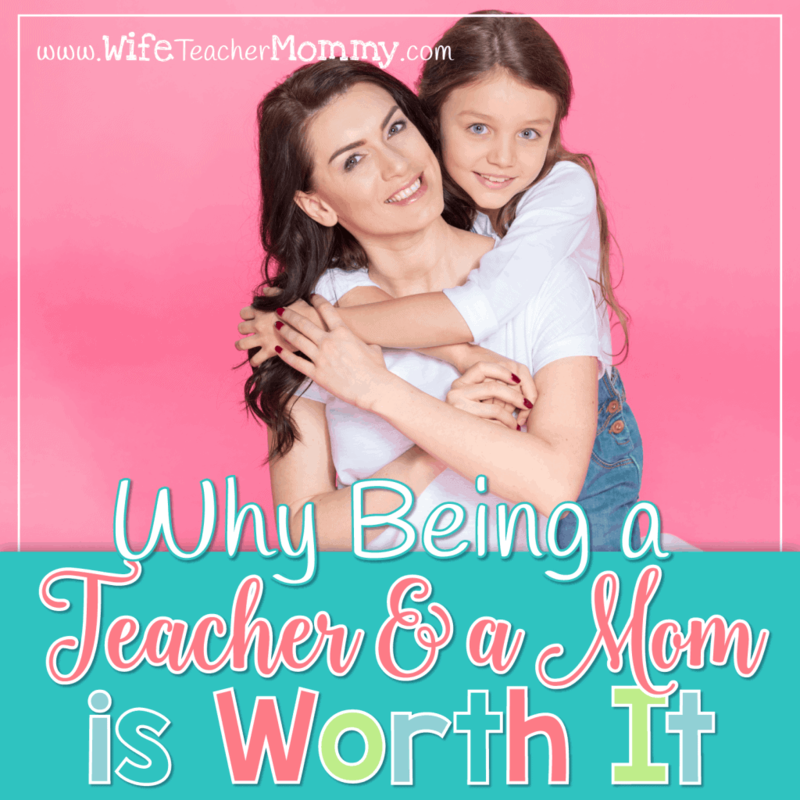 And in no time, you’ll be able to see how much teaching and being a mom is worth it. Are you a PREGNANT TEACHER? 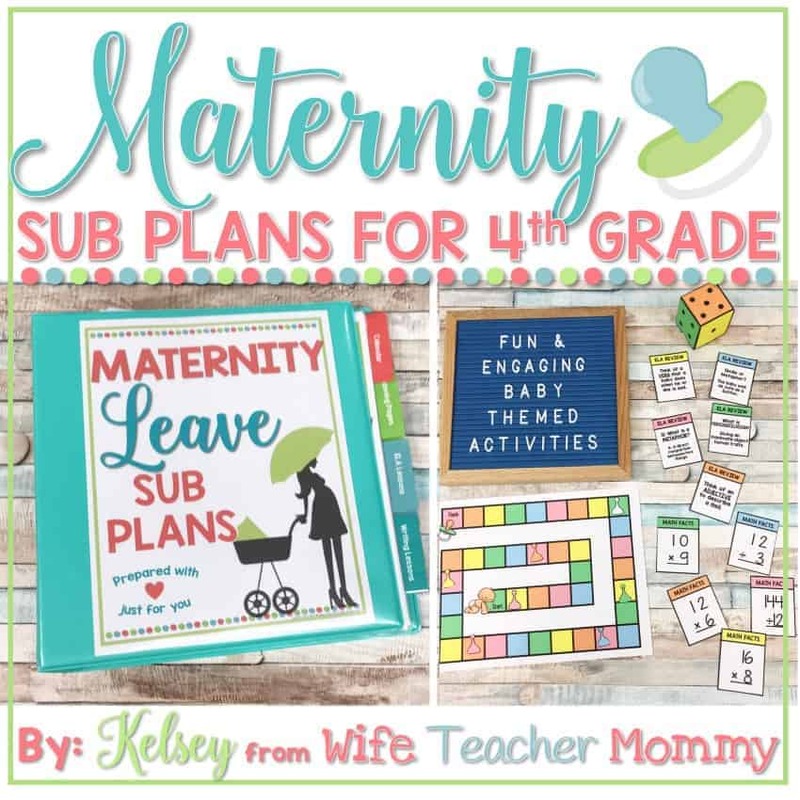 You may enjoy these maternity leave resources.